Product prices and availability are accurate as of 2019-04-21 15:38:06 EDT and are subject to change. Any price and availability information displayed on http://www.amazon.com/ at the time of purchase will apply to the purchase of this product. 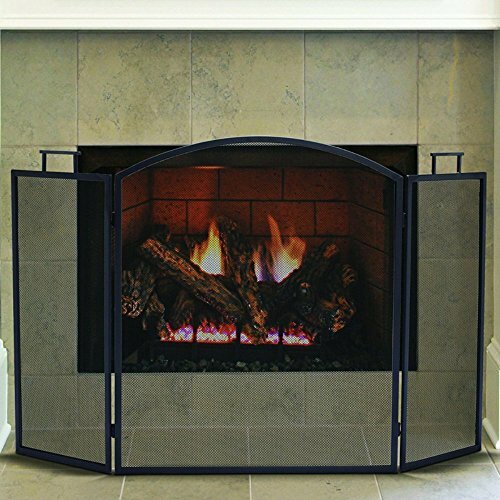 The Pleasant Hearth Classic 3 Panel Fireplace Screen provides an indispensable accessory for your wood-burning fireplace. Its sturdy frame is crafted from solid steel, featuring a three-panel design and top handles that allow you to easily angle and adjust the screen as you please. 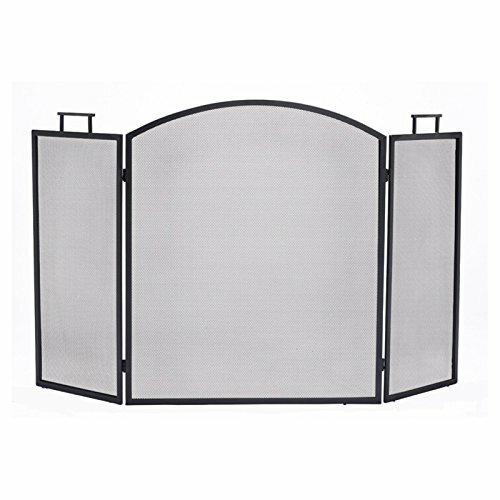 The main panel features a curved top, while the side panels boast a simple rectangular design. A steel mesh screen keeps stray sparks and soot from escaping. The frame and screen both feature a black finish. 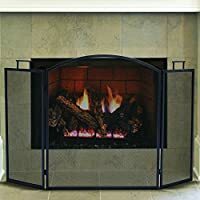 About GHP Group GHP Group creates electric fireplaces, accessories, log sets, and other heating options found in homes across America. With years of experience and a close attention to detail, their products exceed industry standards of safety, quality, durability, and functionality. Whether you're warming a room or just making a relaxing glow, there's a GHP Pleasant Hearth product for you. Dimensions: 52W x 31H in.. Frame constructed from solid steel. Stunning solid black finish. Sparks and ash held back by mesh screen. Top handles for easy adjustment.